Does your dog trust you? Maybe you never really thought about ways to build trust with your dog before, but this past weekend something happened with Haley that made me realize how important it is. I gave Haley a soft, chewable bone, you know the kind that are similar to dental bones and get a little gummy when chewed. Well, somehow she managed to get a piece of the bone lodged in the back of her mouth in a pocket behind her bottom molars. She started frantically biting and licking and furiously pawing at the side of her face, then she came to me looking for some help. I wasn’t sure what was wrong at first, but I noticed a small bulge on the side of her face which turned out to be where the gummy piece of bone was stuck. Weird, right? I tried to push it forward from the outside, but it didn’t budge. Haley knows to calm down and move slowly when I say “Easy”, so I repeatedly gave the command while I carefully slid my index finger back between her gum and molars to dislodge the chunk of bone resting behind her teeth. I never knew something could get stuck back there! I have to say that I don’t recommend anyone else doing what I did, since a dog’s back molars are powerful slicers that could easily inflict some major damage to fingers (and Haley probably would have eventually dislodged the bone herself) but we dog owners sometimes react impulsively when our dogs are distressed. After it was over, the incident made me realize how much she trusted me by coming to me and by trying to stay calm while I helped her. There was definitely some trust on my part too that she wouldn’t accidentally dismember my finger. A similar thing happened a few years ago when Haley was biting on a small stick and her top molars sheered off the stick on both sides and it became wedged between her top molars crossing over her tongue. She was very frantic when that happened, but she still ran to me for help. I was lucky that time too that I didn’t get accidentally bitten, but I was able to reach in and dislodge the stick for her. When these types of incidents happen, it makes me thankful that I have a high level of trust with Haley. Although I touched on this a little bit in my post Building Love, Trust and Respect, I thought I would share a few things that I do with Haley and some other tips for how to build trust with your dog. This should really go without saying, but it’s the most important thing to remember when building trust. Never bully, hit, kick, yell at or be aggressive towards your dog in any way. It’s easy to get frustrated sometimes, especially with a young dog that’s testing boundaries or with a newly adopted dog that hasn’t had proper training, but it’s essential to stay calm and positive even if you arrive home to a destructive chew-fest. Take a deep breath or even step away from the situation for a moment if you need to, then use knowledge and logic instead of emotion to respond to and resolve the issue. Reactive people, just like reactive dogs can have a negative effect on their environment, so always relate to your dog with a calm and gentle demeanor and tone of voice. Fairness is huge to dogs. They like to know the rules and they like it when you follow them as well. You send mixed signals if you have bad timing, or are unpredictable with training or corrections. Being unfair can lead to confusion and a diminished sense of trust. For example, making your dog work for a treat or toy, then not giving it to them when they perform well is unfair. It’s also not fair to cruelly favor one dog over another in a household or to promote jealousy between dogs or between dogs and family members. Dogs like a predictable environment and stable, dependable owners. They feel comfortable when they know they can depend on you to take care of them and when they understand what behavior is expected of them in return. Trust grows when you and your family members are positive and consistent in the way you relate to your dog. For example, if you allow your dog to jump on you when you’re wearing old clothes but scold him for jumping when you’re wearing dress clothes, he may view you as unpredictable because he doesn’t understand the difference in your attire. The more time you spend with your dog, the more opportunities you have to build trust and develop a mutual understanding and bond with each other. Spend time exercising, playing games, training and just hanging out and relaxing with your dog. Maybe even try meditating with your dog. Having good experiences together builds a strong bond, so look for ways to include your dog in fun activities. Try to see the world through your dog’s eyes and perception. Read some books on dog behavior, study canine body language or just get down on your dog’s level and try to imagine what he’s thinking and feeling about different situations. This is especially helpful if you’re working on fixing a problem behavior. Approaching the issue from your dog’s point of view, better equips you to understand his motivation for behaving in a certain way and that leads to solutions that work well for both of you. Understand that it’s your job to protect your dog and keep him safe. He’ll trust you more if you don’t place him in stressful situations where he feels threatened. For example, if your dog is fearful of other dogs, place yourself between an approaching dog and your pup to help him feel protected and allow him to decide if he feels comfortable enough to greet the other dog. Besides what I’ve already mentioned above, here are some ways that dog owners can unknowingly lose the trust of their dogs. Forcing a dog to do something they’re uncomfortable with is a sure way to trigger their opposition reflex and lose their trust. This is especially important if you’re socializing a dog or working to help a dog with fear issues. Provide encouragement and incentives, but allow the dog to work at their own pace to slowly build confidence. Also, don’t pressure a dog by smothering him with hugs and affection. Allowing him to approach you on his terms and in his own time goes a long way in developing a trusting bond. When playing with your dog, take turns being the giver and receiver of toys. If you’re constantly the one taking away or keeping the toys for too long, your dog may be more reluctant to give things up. Practice trading treats for high-valued toys or redirecting your dog to something else that’s fun when you need to take something away. Having a dog that trusts you and will easily give something up comes in handy if you ever need to take something dangerous away from him. Playing fair builds trust and also prevents your dog from getting overly frustrated or excited when playing. Lightly teasing a dog to build excitement while playing is fun for dogs, but teasing to the point of frustration or over excitement can have a negative effect on the relationship with your dog. Intentionally scaring or disturbing a dog in a mean spirited way or antics that make a dog uncomfortable for the amusement of humans is never a good idea and will obviously cause a loss of trust. This is a common way that dogs can lose some trust in their owners. Dogs normally only associate corrections with what they’re doing at that given moment in time and most researchers believe that dogs don’t feel complex emotions like guilt. Correcting a dog hours after he chewed your favorite shoes, is most likely going to be perceived by the dog as you suddenly being very angry for a reason that he doesn’t understand. He may then see you as unpredictable or unstable. Another common scenario is the dog that doesn’t come when called and then gets scolded when he eventually goes to his owner. The dog is likely to associate the scolding with going to his owner rather than failing to listen when first called. Fearful dogs need a slow and methodical approach to help them overcome their fear and build confidence. Desensitizing and counter-conditioning (changing the way a dog feels and reacts to the source of their fear) is a good two-part approach to assist the fearful dog. Stressful, uncontrolled exposure to the source of the fear will only make matters worse and will surely diminish trust. Seek out a good trainer with experience in the methods mentioned above if you need some help with a fearful dog. Building trust takes time, but it’s easy when you focus on the little things you do while interacting with your dog everyday. Even small things, like occasionally feeding your dog by hand, work to strengthen trust. Having a dog that trusts you makes everything about living with your dog easier, from getting your dog to come when called, to having an easier time with trimming nails and tending to injuries. Whether you’re starting from scratch with a new puppy or you’ve just adopted a dog, developing a trusting relationship is key to having a close bond and enjoyable relationship with your dog. How much does your dog trust you? I’m sure I’ve overlooked a lot of ways to promote a trusting relationship with your dog, so share your thoughts and ideas too! These are all fabulous tips, thanks for sharing! And I am so glad to hear you got the bone out ok!!! Trust is such an important factor between our pets and us humans. Thanks Jenna, I’m glad it came out pretty easily, it was really a strange thing for it to get stuck back there, lol! Nice post, Elaine. You made some good points about understanding how a dog thinks as being essential to building trust – for instance when you discussed how a dog associates discipline with whatever is happening at that moment – not with an event that occurred hours ago. On another note, I do not recommend giving dogs the soft, white rawhide bones that they can chew up into gummy pieces. Your experience with Haley is an excellent example of why these can be dangerous. I used to give the soft, white rawhide bones to my dog until one day I found her choking on a long gummy piece that was halfway down her throat but still hanging out of her mouth. Fortunately, I was able to pull the piece out and prevent a disastrous event. Now I only give my dog (and recommend that other pet parents give their dogs) the pressed (compressed) rawhide bones. Pressed rawhide bones are still rawhide but they are firmer and dogs can’t chew them into gummy pieces. They last longer than the soft, white rawhide bones too. 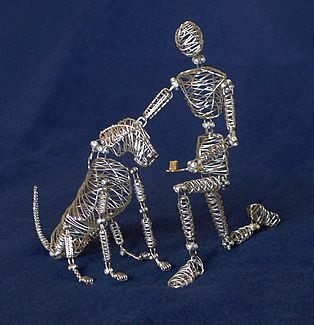 Pressed rawhide bones are brown and shaped like bones and can be found in the rawhides section at pet supply stores. Yes, the rawhide bones can be dangerous. We stopped giving those to Haley years ago when she also nearly choked on a piece. The problem Haley had this past weekend was with a bone shaped dental chew. They get pretty soft and gummy once Haley starts chewing on them and they only last a couple of minutes. Thanks for the recommendation on the pressed rawhide bones, we’ll look for those the next time we’re out on a treat run! Hi Susie, It’s great that you found something to help channel Kilo’s energy. I have to say, the Bullwrinkles tour was probably pretty interesting, lol! Excellent post guys! Brilliant advice we all use with our beloved dogs. Thanks so much, I would imagine Earl has a lot of trust in his agility coaches to perform so well! Great post. It’s been very important to me to build a bond with Rita, since she was so scared of so many things when she first came to us. She still has a few fears, but she’s so much better with most things. I think all the things you listed are great. Luckily, since I work from home I can spend a lot of time with her! We walk together every day, hang out together, play, etc. She’s my best buddy. Great post! I’ve had to do the same with Mia, but I have a friend who got a pretty serious bite to the tip of his finger with his own dog. 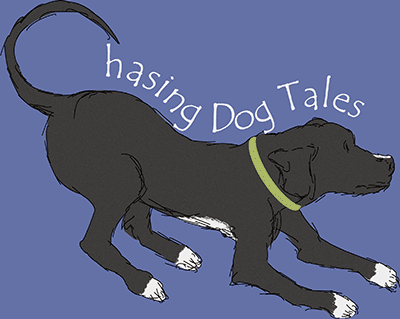 So glad to hear I’m not the only one who’s had this happen with their dog, Kari! That sounds really painful what happened to your friend, it definitely crossed my mind while my finger was in Haley’s mouth. I guess maybe you and I were lucky! Excellent post! All really great tips. A similar thing happened with my newfy/lab mix…a chewy was stuck sideways in his mouth, but he did come to me and he knew I would help him out. 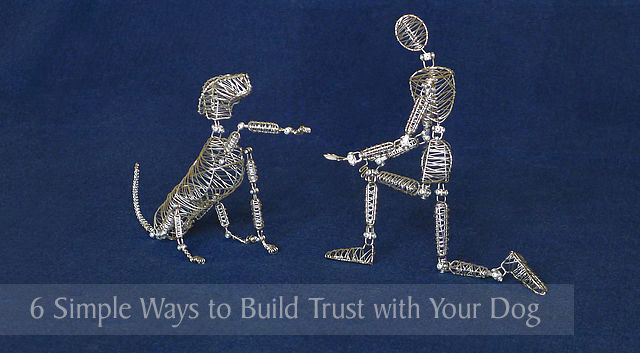 It is so important to build trust! Thanks for sharing! Elaine, fantastic post! You really covered all the facts; consistency and fairness are super important. Mr. N let me take bacon out of his mouth. He found it on the street and he was so sad. But it was an entire strip of bacon and it would have been so bad for him. thanks for a excellent post with excellent tips. Consistency is so important for our dogs – it really makes a difference between an unruly dog and a well behaved dog. Great post and spot on tips. BTW, I had the same thing happen with a stick with our Sally…kept the sticks away after that. It’s really scarey for the dog and us when that happens. I’ve heard stories of dogs carrying sticks and they run into something or the ground and the stick ends up going through the roof of their mouth, yikes! I’m glad that’s never happened to our dogs. I’m glad that your dog trusted you so much! As you said, it can be really dangerous to remove things stuck in the bag of their teeth. I am getting a dog in a few weeks. I will make sure to always be fair and a good owner. The best part of protecting and taking care of your dog is that they will do the same for you. Thanks, Luke! I can think of so many instances where having a strong bond of trust really paid off. It seems to help in almost every aspect of working with dogs, doesn’t it? Good luck with your new pup! Thanls for the advice! My dog follows me everywhere I go now, lol. I have a problem with a dog I recently got from a shelter and I have no experience with how to handle it. Haley was very scared when we brought her home and after a short time in the house, which she was freaking her out, we let her out in the back yard and she ran the fence line for days. The only way I could have contact was to trick her onto the porch and block her getting out which freaked her out. It was getting cold, so after catching her we kept her inside for a couple of weeks to try to get her used to the house but she hated it. She escapes whenever she can but hangs around. I have since left her alone, but lose sleep because she is outside in the cold, she has a very good, warm place to sleep, but she no longer trusts me not to catch her when she gets close. I don’t know what to do.